I made these with my friends and we all LOVED it! It's a perfect summer lunch. Pick the cilantro leaves and finely chop them, discarding the stalks. Coarsely grate the carrots using a box grater, then add them to the salad bowl along with the cilantro leaves. Pop the pitas onto a baking tray and into the oven for a few minutes to warm through. Cut the orange in half and squeeze in the juice, catching any seeds with your hand. 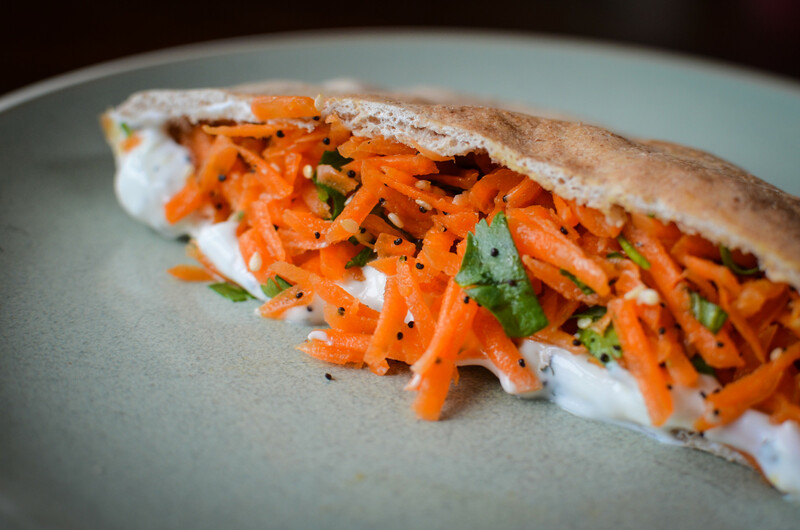 Use oven gloves to remove the pitas from the oven, then serve with the zingy salad, and some homemade hummus (see my hummus recipe), and let everyone stuff and build their own pitas. 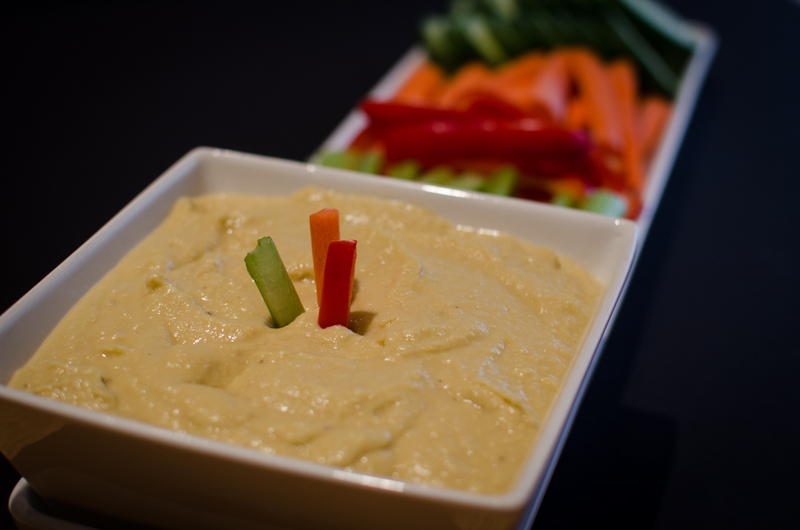 I don't want to brag, but I really do think this is the best hummus ever! We've been asked for the recipe so many times, and asked to bring it to parties, that we now end up making it about every other week. 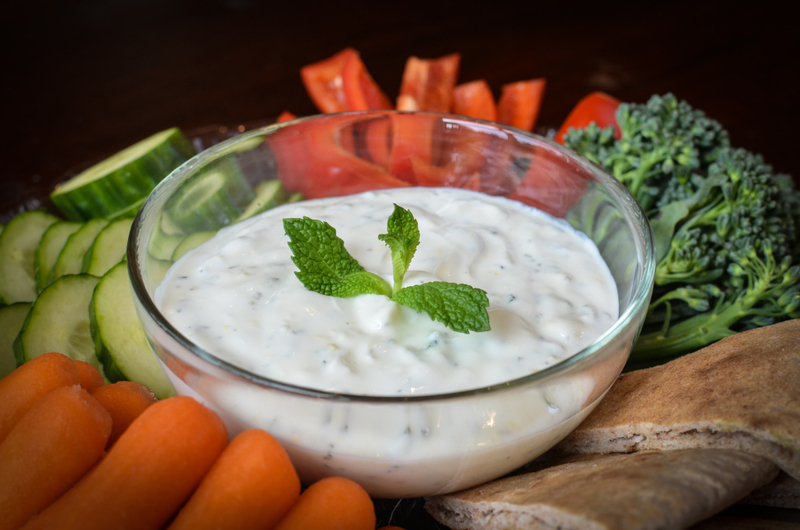 The main difference is that we omit the traditional tahini (sesame paste) and we add in enough lemon and olive oil to make it extra creamy and smooth. If you try it, you'll see why it's become famous among our family and friends! In a food processor, process the garlic to chop it up. Add the garbanzo beans, lemon juice, salt, and pepper. While the processor is running, slowly drizzle in the olive oil, scraping the sides of the bowl at least once. Make sure your hummus isn't too thick. Add more olive oil or lemon to make it loose and creamy. Adjust seasonings. Hey Amber! Loved this video and had fun being in it! (Hint: I was the girl in the pink shirt!) I am totally=ly going to make this at home!